Home / Collections / Mark Your Calendar / Accessories / Mark Your Calendar Key Chain - Oh, the Places You'll Go! Mark Your Calendar Key Chain - Oh, the Places You'll Go! What a perfect reminder for any graduate! The original hand stamped calendar key chain with 'Oh, the Places You'll Go!' stamped on the back...perfect for a graduation or any big milestone! This nice and thick 18 gauge, approximately 1" sterling silver rectangle can be hand stamped with ANY month from ANY year (past, present or future), and then one day will be highlighted with an oval or a heart AROUND the date. 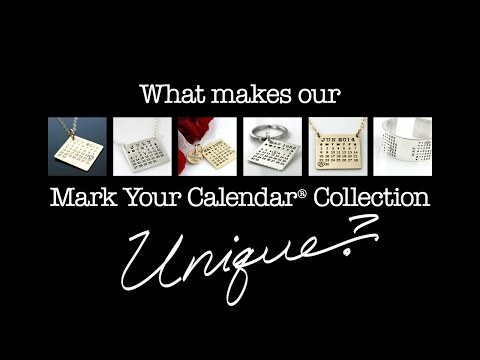 Your calendar then gets a hand-brushed finish and hangs from a nice and heavy stainless steel keyring. Stamping on the back: Your calendar key chain will be stamped with, 'Oh, the Places You'll Go!' in our upper and lower case serif font.